Recent revelations of sexual abuse in both American Protestant churches and the Catholic Church remind us that Christian communities are not only vulnerable to horrifying forms of oppression and abuse, but that Christians create, enable, maintain, and perpetuate patterns of oppression and abuse. We condemn in the strongest possible terms the abuse that has taken place, the networks that have allowed it, and the slowness, fearfulness, and weakness with which it has been addressed by institutional churches. 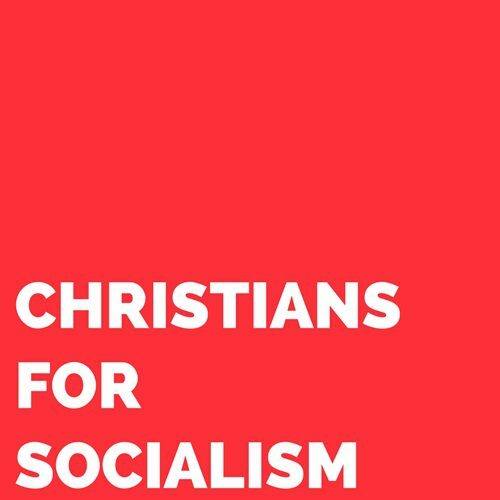 Christians for Socialism stands in solidarity with the survivors of sexual abuse and demands justice in our communities. We condemn, too, the strategies used by Christians to avoid acknowledging our own complicity in these cultures of abuse. Some attempt to distance the abusers from the heart of Christianity, some suggest this is mostly a Catholic problem, some appeal to homophobic arguments, some blame survivors, and some see only a few bad apples. All of these and many other strategies refuse to face the terrible reality that Christians are the ones who have built this system of abuse, and Christians are the ones who are even now refusing to tear it down. accountability, transparency, and, most importantly, justice for those who suffer at the hands of Christians. expulsion of clergy and pastors, no matter their hierarchical or popular significance, involved in abuse and its coverup. that the institutions involved in Christian abuse take full and unmitigated responsibility instead of shifting blame. privileging the voice and recommendations of the survivors and the swift and unequivocal removal of abusers and their enablers from positions of authority and influence. financial compensation for survivors and that the institutional churches go beyond the statute of limitations instead of hiding behind it. a frank look at the relations of power in Christian communities that exposes the inherent problems with patriarchal authority and secrecy. an evaluation of present Christian understandings of sexuality in a way that affirms gay, lesbian, and bisexual clergy and pastors and roots out the toxic sexual culture in Christian communities. strategies for repairing the damage that has been done in and to our communities. Above all, we demand that survivors be affirmed, listened to, and respected on their own terms as Christians and workers in the justice system attempt to think through adequate responses to the crisis of abuse, recognizing that not all survivors are the same. Karl Marx famously called for a “ruthless criticism of all that exists, ruthless both in the sense of not being afraid of the results it arrives at and in the sense of being just as little afraid of conflict with the powers that be.” We reaffirm this call, with an understanding that such a criticism will have revolutionary and unforeseeable implications for our communities as we know them, and that this will inevitably produce a conflict with the ruling authorities in our own communities–not because we are hoping for conflict but because we know that the structures of oppression will not relent to polite requests for reform. Though some Christians prefer a sanitized version of their faith, we take our cues from Jesus, who ruthlessly criticized the powers of his day and did not fear the resulting conflict. We call, therefore, on Christians to become more vigilant, more courageous, more ruthless, more critical, and more revolutionary in our own communities. We must agitate for real change and refuse to settle for protectionism, gradualism, and avoidance. We must refuse all apologies that are not backed by justice. *We support efforts among many Christians to address this abuse with concrete advice. In the Catholic context, we support the Catholic Reform Appeal and its suggestions, which will be mailed to every active American Catholic bishop on August 27. Add your name to this appeal here.